Coach training classes start April 1. Ask about our $555 extended payment plan! We know you, glow getter. and vision boarded your entire future. You know you’re meant for something more. You’ve got something special to share with the world. You know you’re different. A real glow getter. or the diverse learning environment you need to grow your business and your life. Our 6-month coach training program provides high touch training for women identifying leaders. It’s a personal and professional development program for women who want to enhance their coaching skills, grow their personal brand and develop a next level business strategy. Coaching is a catalyst for profound change, and the power of coaching is a domino effect, first transforming the coach and then quickly rippling into relationships, families, businesses, communities and beyond. Coaches and female entrepreneurs need REAL leadership skills to be catalysts for change. Real growth. Real joy. Real connections. Real impact. Real change. IGC Coach Training offers 62 Approved Coach Specific Training Hours (ACSTH) from the International Coach Federation (ICF) and 10 ICF Mentor Coaching hours. The experience goes beyond a coach training program: it’s an actual life changing adventure, where you get the support of an entire community of coaches, mentors and entrepreneurs as you create the next version of you. Click here to choose your spring class! There are thousands of life coaching certification programs available online and in-person. In a few minutes, you can go online and download a self-help program by Gabrielle Bernstein, Oprah or Brené Brown. There are courses, books and workshops being marketed to you on a daily basis. It can feel confusing and overwhelming, especially when many people who call themselves “coaches” aren’t actually credentialed or certified! By the way, the International Coach Federation (ICF) says the lack of credentials is the largest threat to the coaching industry right now. What do you REALLY need to do this work? IGC knows: REAL training, REAL certification and REAL business. Every successful life coach, business coach and leader must play two roles. First, the role of coach, where you are a guide, teacher and leader. Second, the role of business owner, where you show up as a founder and entrepreneur. In the early stages of our businesses, we often find ourselves taking on multiple roles, including COO, Marketing Director, Sales Manager and more! As successful leaders and coaches, we’ve spent years taking polls, doing market research and having conversations with new coaches, entrepreneurs, wantrepreneurs and coaches to be. We wanted to understand why so many of our colleagues gave up after graduation and what made the difference for us. What did we find? More than half of business coaches, life coaches, health coaches and mindset coaches never fully launch their coaching businesses. Across the world, accredited coaches who have invested thousands in coach training and accreditation are still unable to bring their dreams to life. Why? First, there’s an energetic gap that most trainings don’t address. Students are afraid of failing, unclear on where to start and overwhelmed by the big to-do of building a business. Second, there’s a lack of strategic business knowledge being shared in the coaching industry overall. Created by two professional coaches, one an entrepreneur and one an educator, IGC’s Coach Training addresses both the art of coaching and business. Focus and flow. Experience and results. Being and doing. Founded in 2015, Inner Glow Circle’s coach training company was designed based on the International Coach Federation’s Core Competencies and Ethics. From this foundation, we also utilize two main modalities: strategic, experiential learning and the metaphysical study of ontological coaching. Experiential learning is the process of learning through experience. By gaining experience in the field, we generate our own learnings, reflect on them and move forward based on our findings. Through testing, we find out what works for us and what doesn’t. We observe leaders we look up to and use their examples as inspiration, always creating our own version along the way. Ontology is a metaphysical approach that addresses the nature of being. It asks us to take a look at who we are being in each moment. The mindset and manifestation work that’s become so popular in the self-help industry is actually based in science and serves as the foundation for our training. We work to rewire our neurology to positive thought patterns to be able to create the results we desire. Destiny only works when we do! In order to grow into the coach and leader you are meant to be, you must learn how to show up powerfully for your clients, your career and your life, regardless of circumstances. IGC Coach Training teaches you how to access your highest level of being so you can create your coaching practice and evolve as a leader. Included in your coach training is the IGC Mastermind. The Mastermind provides a safe, open sisterhood and live community for you to practice our core coaching concepts. There is also a separate forum for coach training students where you can connect and create around your new coach training insights. We attract clients all over the globe, from all across the US to London, Italy, Australia, the Cayman Islands and beyond. Our coach training program is available from the comfort of your home or office so that we can connect internationally. The program is delivered through video conferencing, phone and online. Liv Chapman, Co-Founder and COO, is the driving force behind IGC’s Coach Training program. Liv holds a bachelor’s degree in Education, a master’s degree in Leadership, an ICF PCC Credential and is a Certified Master Coach and Mentor Coach. Liv manages IGC’s relationship and accreditations with the ICF. 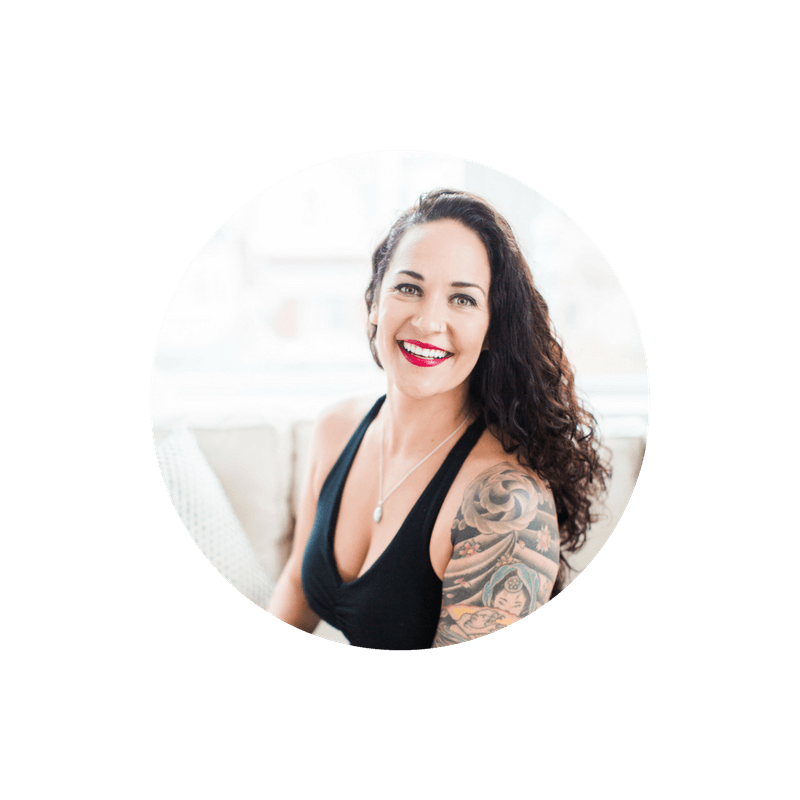 On top of Liv’s extensive background in coaching and training, she has a passion for coaching entrepreneurs who want to improve their lives and the lives of others by creating and purposeful businesses. She mixes her education and business background with coaching skills to help students move powerfully past the doubts, fears and limiting beliefs that keep them from reaching their full potential in business and life. She teaches students how to step into their zone of genius (their GlowZone!) and create businesses that thrive and ultimately, change our world for the better. 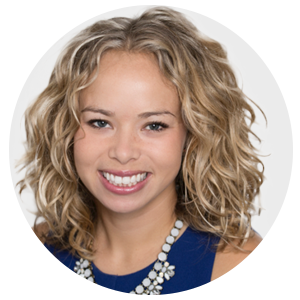 From marketing, lead generation and sales to strategy, scaling and program development, Liv is known for co-creating a massive return on investment, in partnership with her clients. Liv’s style: Bold. Direct. Fun. Liv’s ideal students: Mission-Driven. Focused. Leaders. Innovators. She holds a bachelor’s degree in Psychology with a minor in Women’s Studies. 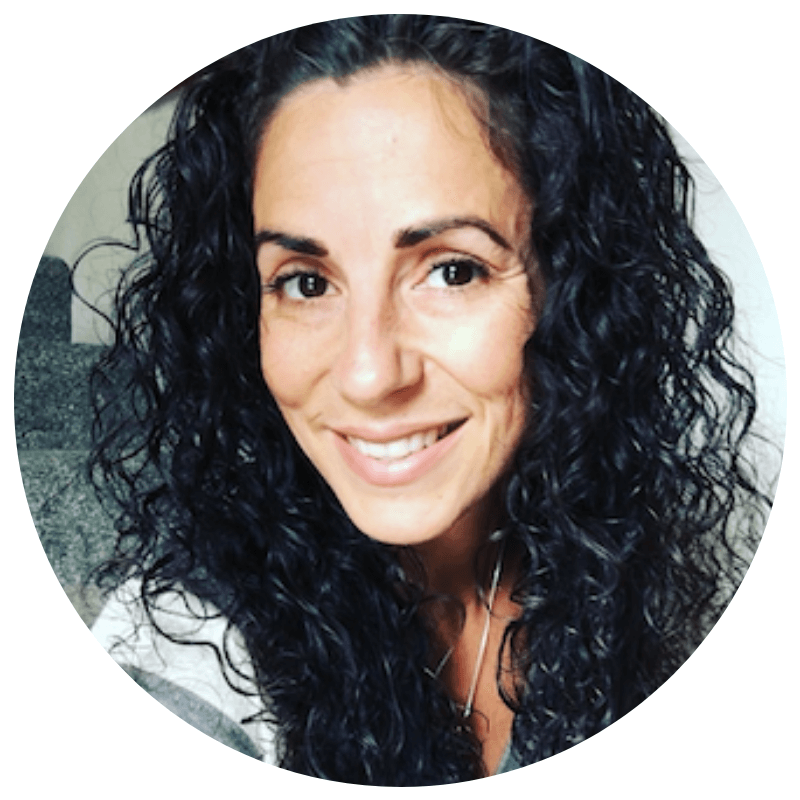 Previously serving as a Domestic Violence Crisis Counselor, Shannon now focuses on helping coaches and entrepreneurs find their #truthtruth and tell their stories online. Shannon is one of the original 2015 graduates of IGC Coach Training and holds a Professional Certified Coach (PCC) Credential with the ICF. 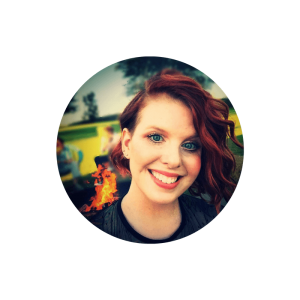 A powerful marketer and storyteller, Shannon not only coaches and trains but also speaks and writes. Shannon lives the ultimate laptop lifestyle with her hubby and two cats in Italy. Shannon’s Style: Powerful. Playful. Inspiring. Shannon’s Ideal Students: Writers. Creatives. Survivors. World-Changers. 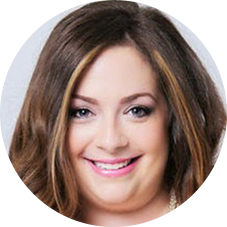 Kelly Curtis is the Training Coordinator and Lead Trainer at IGC. She holds a bachelor’s in Psychology and a master’s in Mental Health Counseling. She left counseling to focus on coaching and is also a 2015 graduate of IGC Coach Training. 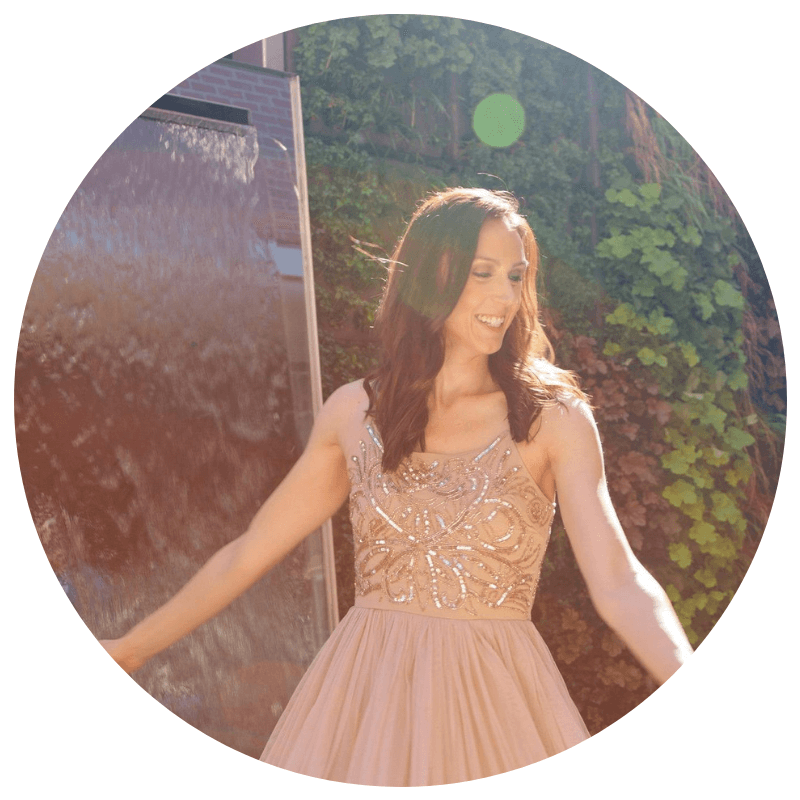 Kelly credits her education with giving her a solid understanding of the brain, intuition and human behavior. 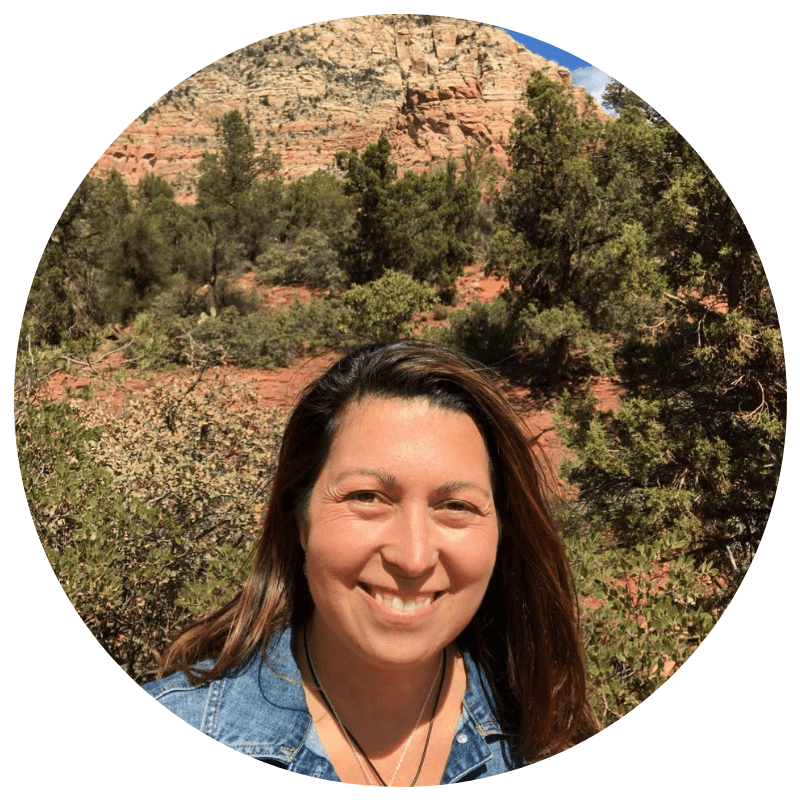 Kelly is highly intuitive and guides her students to tap in to their intuition and take action on their true purpose. Kelly is also an artist and just relocated from Austin to Minneapolis with her two dogs. Kelly’s Style: Witty. Straight-Forward. Intuitive. Kelly’s Ideal Students: Leaders. Healers. Counselors. Natural Coaches. we’ve welcomed three new student trainers. In Inner Glow Circle, you’ll learn how to work for yourself, not by yourself. As part of the IGC Mastermind (a bonus of our coach training), you will be immersed in a community of women who already support you and your mission. Our mission, really, because we are all in this together. Make the most of this strategic sisterhood, where you can source business and personal development support 24/7. In addition to your weekly coach training class, you have access to more than 20 group coaching calls per month, designed to serve your needs as coach, leader and entrepreneur (basically, woman on a mission). “Coach training with IGC made me a better leader, and ultimately led me to create Poppy Row, my size inclusive clothing brand for women. So many women in IGC shared our Kickstarter and have become our clients! Due to coach training, my business feels more aligned than ever. I hadn’t expected such a monumental shift. In a week, you can hop on a call to connect with your body, work on your marketing and get your money mindset in check. The online community is the most active I’ve ever seen. I am consistently impressed with the life-changing, deep conversations we are having. Coach Training is still one of the best investments I’ve made! “I had been working with clients in the nutrition counseling field for over 4 years, but something was missing. My training and education never touched on the coaching and connection piece. I knew there was something missing in my relationships with my clients, and myself. With IGC’s Coach Training, I found the confidence, commitment, passion and determination to finally start my own online nutrition counseling business (a dream I have been considering for over 3 years)!! Thank you, Inner Glow Circle! You are my rock! 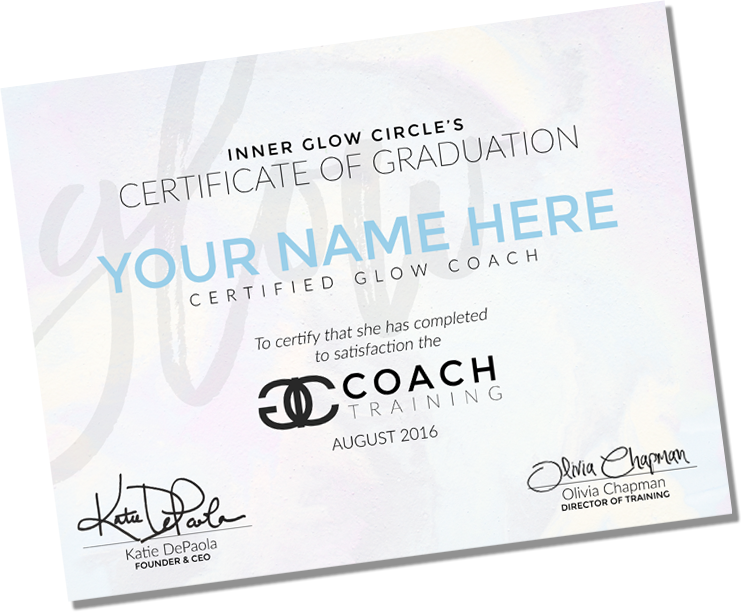 Inner Glow Circle is the only program to deliver advanced coach training, personal development, business strategy, personal branding, online marketing and sales training all in one place. We offer 62 Approved Coach Specific Training Hours (ACSTH) from the International Coach Federation, 10 hours of 1:1 coaching (which count as your ICF Mentor Coaching hours) and a 30-day money back satisfaction guarantee. We start with 3-months of Fundamental Core Principles of Coaching Training. and will take approximately 45 minutes to complete! An in depth look at the ICF’s Code of Ethics and Core Competencies as they relate to the content of the training program and the art of coaching. An overview of coaching terms and their meanings as well as a comprehensive look at the differentiating factors in coaching, therapy, consulting and spiritual guidance services. Establish a coaching agreement that clearly articulates the ethical standards of coaching, including confidentiality, trust and rapport. The importance of a client-generated coaching request and how to run your sessions in alignment with the being-based teachings of ontology, while creating awareness and results with your clients. A highly important and valuable core competency that includes how to listen actively, clarify, reflect and coach based on both what’s said and what’s not said during the coaching call. How to ask powerful, direct and forward-moving questions to bring your clients closer to their own truth and transformation. Effectively communicate with your client by using language that has the greatest positive impact, while also weaving in varying gradients to create lasting change. How to develop and maintain a coaching plan based on your client’s goals and desires as well as create opportunities for ongoing learning during coaching and in work/life situations. How to manage progress and accountability with your clients by looking at various tools and using powerful questioning to empower your clients to follow through and stay on track. A look at the contexts clients bring to the coaching relationship, how to break them up and how they influence thoughts, decisions and actions. How archetypes influence your clients’ belief systems and how their identification can be a powerful tool as we uncover limiting beliefs and negative behavior patterns. How to be fully present as coach and when to set boundaries when clients experience grief, loss and/or trauma. We then dive in to 3 months of business training to keep you growing as a coach and entrepreneur. A closer look at the ICF’s Code of Ethics as well as a description of qualities that make potential clients “uncoachable” and a tool for supporting their growth through referrals to other providers. Focus in on the importance of aligning desires with plans, creating awareness around these goals and mapping out next steps. A deeper look at how to design high impact coaching offers that are based on ICF Standards and Ethics and demonstrate respect for your ideal client’s goals and learning style. An ontological approach to selling from the soul (not selling your soul!) and setting up a coaching agreement that is ethically aligned, built on trust and in service of your client. Deepen into what’s behind a “no” on a coaching call or a sales call and understand how to coach through your client’s’ objections. A series of powerful questions you can use with yourself or your clients to help to distinguish your unique being and motivation for your personal development and your brand creation. Learn how to organize, follow up and nurture your leads, grow your email list and discover other avenues to find your ideal clients, so you can create the largest possible impact. Create an embodied business plan for your growing business, clarify your ultimate vision for yourself and the world and map out clear steps to get there. Note: All lessons are delivered in English at this time. You’re itching to quit your boring AF job, start your own business and expand your impact. You just need the right support, accountability and resources to get there. You 1000% know you want to be a life coach. You’ve researched program after program searching for the perfect fit and now, you’re here. You can coach like nobody’s business but can’t sell enough packages, programs or digital products to make this work as a career. You need help scaling to your next level (and quick, to avoid burnout)! You finished another life coach training or health coaching program, but need more business training. Knowing how to coach isn’t enough! You have to be a successful entrepreneur too. You want to help people through your work, but you’re not sure whether to go to grad school (and wait 5 years) or take another path that you can start right now. You’re a natural coach, but you need more training! Whether you’re a sales manager, yoga studio director or consultant, you want to take your ability to motivate others to the next level. We are your full partner in this process and offer a 30-day money back satisfaction guarantee. We offer day and evening class times to support all time zones! “I completed another ICF Accredited Coach Training program, many leadership trainings and have 10+ years of experience working with leaders, but it was my time with IGC, going through coach training and working in the Mastermind that actually brought me to the point of being a CEO. My business is booming. I’m starting to grow my own team. I’m coaching leaders, helping 6-7 figure entrepreneurs scale, supporting new entrepreneurs as they escape corporate, training leaders and executives across the country and designing learning solutions. “The group of women I found through Inner Glow Circle’s coach training have been some of the most talented, beautiful and supportive ladies around. My views on female relationships have ABSOLUTELY changed. I no longer see us as competitors but as allies in our mutual climbs to the top of the world!! Before this path began, my belief in authentic connections between women was dismal and very half hearted to say the least. I didn’t believe that there was a way we could offer each other support, without judgment and be authentic with our constructive feedback without sabotaging each other. “I researched several well-known coach training programs, and there was always something missing. When I found Inner Glow Circle, I finally figured out what I was looking for the entire time: a community of like-minded empowered women, driven by heart centered leadership and divine feminine intuition. This was exactly what my soul was yearning for! Committing to IGC coach training was life changing. It gave me the opportunity to build my leadership skills and launch my own coaching business, but it goes way beyond that. IGC is a safe, sacred container that allowed me to grow and heal through the fears, obstacles and blocks that came up during my training. A copy of New Coach Necessities—bonus materials to take you from business plan to successful coach! Our graduates have the exclusive opportunity to apply to become an IGC Leader in Leaders Rising after graduation! What is the IGC Coach Training cancellation refund policy? Due to the nature of this program, immediate availability of the content and access to the IGC Mastermind, we do not offer refunds. If you must withdraw from the training program due to an emergency or unforeseen circumstances within 30 days of the start date, special accommodations may be made if you wish to pursue training at a future date. All trainees must agree to the Terms and Conditions outlined on the registration page here. Is this program accredited by the International Coach Federation? We are excited to share that we officially approved for 62 hours of Approved Coach Specific Training Hours (ACSTH) in accordance with the International Coach Federation. Full participation in IGC’s Coach Training awards all students with 62 hours of ACSTH in which they can use to then apply for an ICF Credential. How big are the training classes? We cap the groups at 12 to ensure an intimate experience with plenty of individual support. We are more committed to quality than quantity and work to create an aligned group that is truly devoted to this work. Can I continue to be in the IGC Mastermind after the training? Yes! In fact, unless you give 30 days notice and ask to leave, you will continue on with us in the Mastermind and Mentoring Membership! Most graduates remain active members upon graduation, and we highly recommend you continue to utilize this unique network. Is this program only for people who want to be life coaches? Nope! Our coach training program is for women who want to coach–and don’t necessarily want to limit themselves to any specific niche or title. You see, we believe in the fundamental power of coaching and understand that this skill set is transferable. Therefore, we teach you all of the foundational coaching skills and you work with your trainer to specifically decide how to use these skills in the business you desire. For example, we’ve trained life coaches (of course! ), business coaches, health/wellness coaches, executive coaches and career coaches. In addition, we’ve trained stylists, photographers, consultants, teachers, corporate trainers, counselors, therapists, and bloggers–just to name a few! Our in depth-training and generous amount of hours spent 1:1 with your trainer will allow you to specialize or branch out in whatever way you desire. Wondering if this is the program for you?